We started school at my house today and trying to get the kids ready can be hectic to say the least. I’m not sure how we would manage if I had to get them out the door at the crack of dawn. I do like for them to eat a healthier breakfast so they are not tempted to snack all day long. We avoid cold cereal because of the cost so oatmeal is a GREAT alternative. 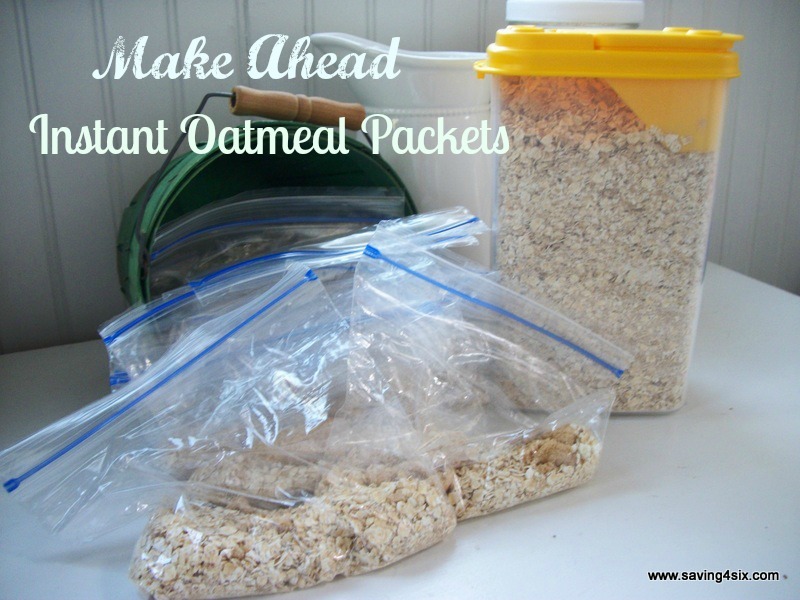 Instant oatmeal packets are not any less expensive than cold cereal so we’ve found the perfect way to get both the convenience of the packets at a cost we like. Making them ourselves was the answer. Measure out each of these ingredients in the baggie and you are good to go. When you get ready to use, pour 1/2 cup of water and the contents of the “packet” in a bowl. Microwave for 45 seconds or until you get your desired consistency. Save your baggies for future use. When I made up my packets, I used the assembly line method and was able to make up twenty packets very quickly. Another option is to make up a big batch of the mix. I did this also. This way, my bigger boys could measure out as much as they wanted. Here is the recipe for just over 20 servings. When you are ready to use this, just measure out how much instant oatmeal mix you would like and add twice as much water as oatmeal mix. I’m really enjoying these packets at home and my better half is taking them to work as well. It’s a fast, yummy, healthier, cost-friendly way to go. Great idea – thanks for sharing! Wonderful idea! 🙂 I have just started liking oatmeal myself in the last year. We are dairy free in our house – would leaving out the powdered milk be a big deal? Our favorite flavor is apples and cinnamon – I'll be tweaking this for us. Thanks for sharing! This is such a great idea when stuff gets so busy in the fall (soon)! We go through a lot of instant oatmeal around here, but I'd like it even better if it wasn't super processed. What a great Oatmeal mix for the upcoming cold winter days, this will be great. Hope you have a great holiday weekend and thank you so much for sharing with Full Plate Thursday. Love love love this idea! Hope you have an awesome school year! Thanks for linking up at Weekend Potluck. That’s a great idea. I’m thinking that they would be great for work. Hello! Stopping by from Mix it up Monday. 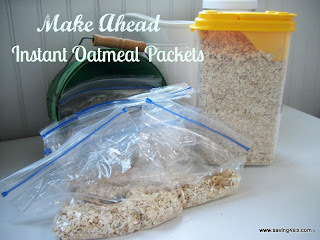 What a wonderful idea for saving some money, and making sure your oatmeal only has what you want in it! I’m going to try this and I’m pinning it too! I’m co-hosting Marvelous Mondays and would love for you to add this link. Thanks for sharing. Lady, I found your site through your sticky keyboard fix and was so pumped to find this recipe along the side bar because I have just been thinking I need to do something like this! Thank you HEAPS! your site is so great! For latest information you have to pay a quick visit internet and on web I found this web page as a finest web site for hottest updates.